Ranveer Singh and Alia Bhatt are juggling a hectic schedule considering Gully Boy is nearing its release, and were spotted at the Mumbai airport on February 12 as they jetted off to New Delhi to discharge promotional duties. 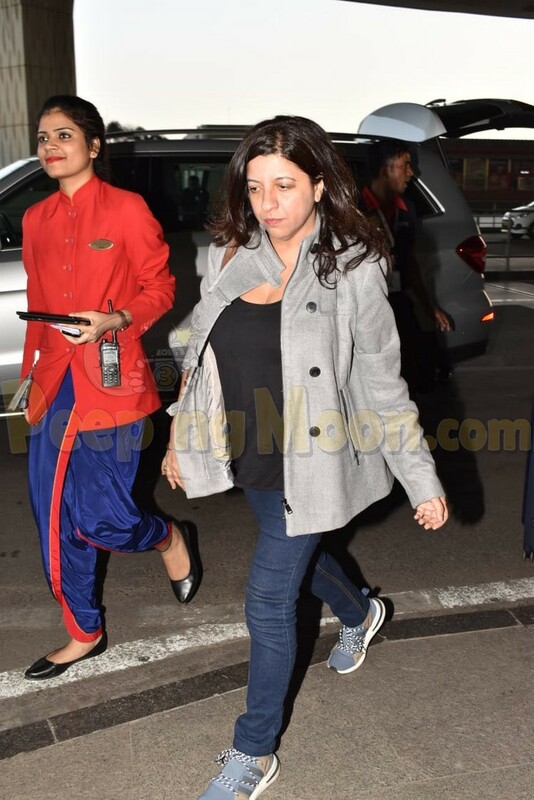 Director Zoya Akhtar accompanied Ranveer and Alia as well. At the airport, Alia was all smiles in a black outfit as she smiled for the paparazzi. Ranveer was spotted at his quirky best as always. Meanwhile, we also spotted Anushka Sharma and her husband Virat Kohli as the couple left for their vacation to an undisclosed location. Last night, Karan Johar, Sanya Malhotra and cricketer MS Dhoni, were also photographed at the airport. Sanya flew to Berlin, Germany for the premiere of the prestigious Berlin Film Festival taking place between February 7th to February 17th. Her upcoming film Photograph was also screened at the Sundance Film Festival.